March Madness isn’t only basketball and brackets. It’s also about odds and favorability. 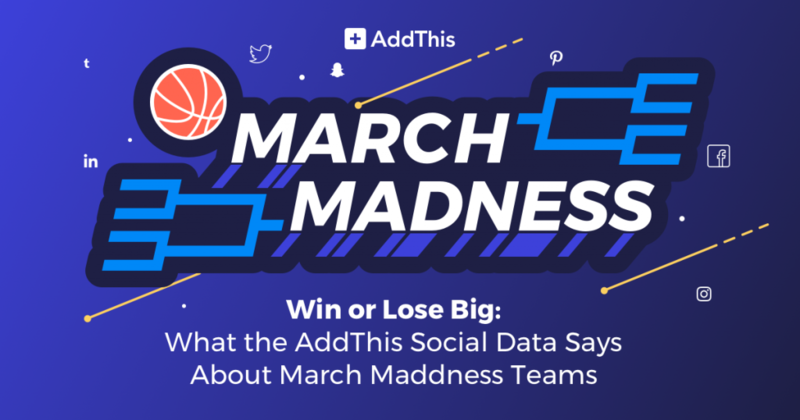 In the AddThis offices, we don’t just enjoy the live action in one of sports most talked about tournaments, we also geek out over the data and numbers game. What exactly do we mean? Let’s see …. We compared various games from 2018 to see which teams saw an increase in social shares. In the sweet 16, Texas Tech (#3) beat Purdue (#2). 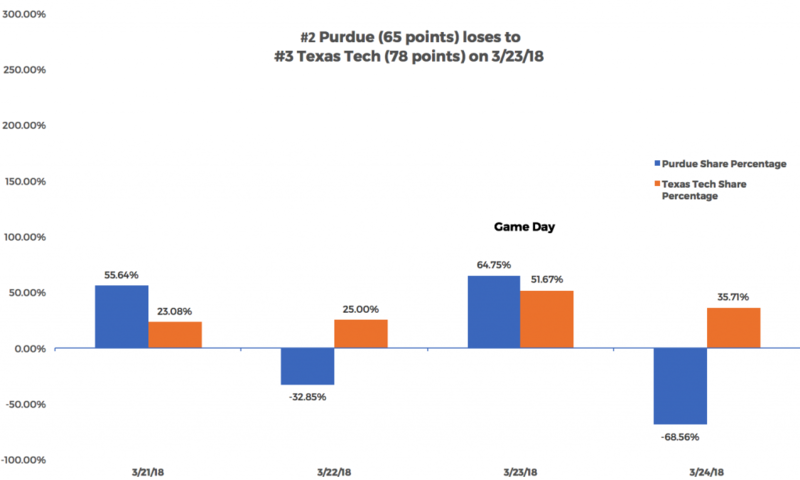 Texas Tech saw an almost 70% increase in shared content as compared to Purdue, who saw a 36% decrease. The top shared article via the AddThis network related to that game was also very favorable to the champs. 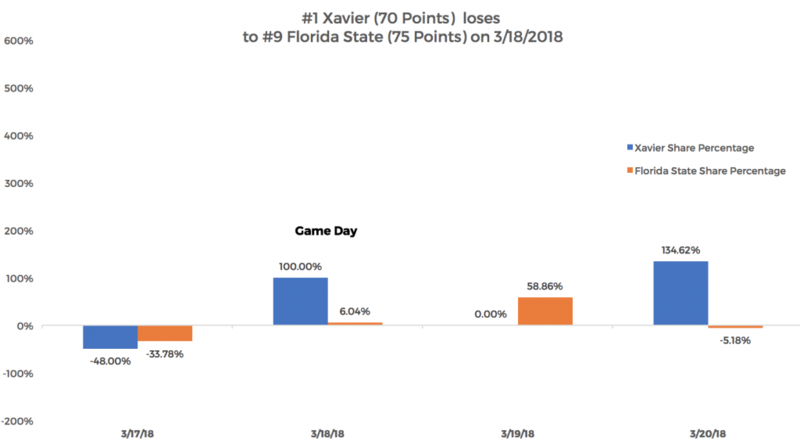 Another example of winners taking all was when Florida State beat Xavier. FSU saw an increase of shares of almost 60% and Xavier saw 0% growth. But what about the losers? It seems sometimes coming in second place can bring even more attention than first. One of the most talked about upsets in NCAA tournament history proved that when the underdogs succeed, the social sphere responds. 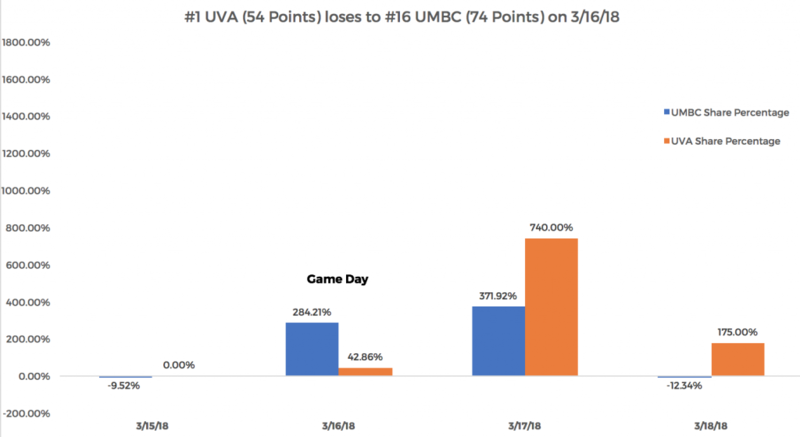 When UVA, the top overall seed and 20-point favorite lost to 16-seed UMBC in the very first round of the tournament, the internet went crazy. We saw this reflected in AddThis data with UVA seeing a massive 740% increase in social shares. UMBC of course saw their own lift, but it wasn’t quite as impressive at 285%. Also, it should be no surprise that the top shared post across our entire network for the NCAA tournament was all about the monumental game. What will happen this year? Virginia is once again a number one seed and are surely hoping that history does not repeat itself. If it does, we have an idea of what the data will say …. Previous PostSay Hello to AddThis for Ecommerce!